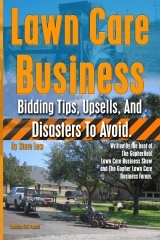 « Gas station lawn care bid help. 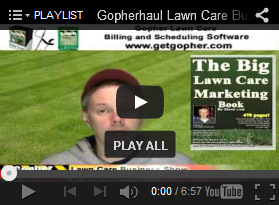 There are what seems to be an infinite amount of lawn mowers available on the market today. If you are looking to upgrade your current mower to a larger model, don’t just feel you need to scale up to the biggest available. 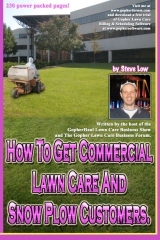 The right mower, as we will see in this discussion from the Gopher Lawn Care Business Forum, depends a lot on what you are trying to mow. 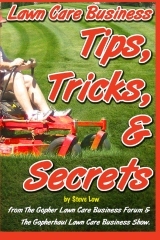 If you get too big of a mower and only have small properties to mow, you will have troubles. The same if you get too small of a mower for a large property. So which is right for you? Let’s look into this further. 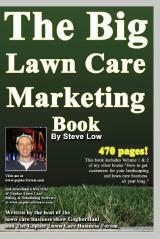 One lawn care business owner wrote “in my area the lawns are pretty small. Most of my residential properties are only .25 to .33 acres. 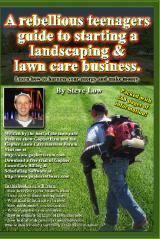 I have got by the last couple of years with a commercial 22″ lawn mower. However I am now ready to make the jump and get a bigger machine. I am debating on a 36″ walk behind or a small rider and I wanted to hear some opinions from others who have made the jump. What are the pros or cons for each? Did one type of mower not work while another did? 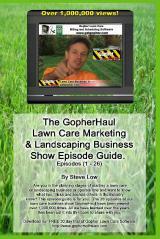 I do have some pretty sharp sloped lawns, but they are small and would probably be easier to mow with my 22″ mower. Price is always an issue to me, but if I am going to buy big I plan on droppings some serious money. I am hesitant to spend money on a used mower. I will almost certainly buy new. My local commercial mower dealers are real good guys and carry a wide variety of brands. I am thinking the walk behind may be the way to go unless someone has a real strong opinion about riders being better. 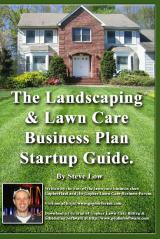 A second lawn care business owner said “for me the decision would probably come down to price, what you are willing to spend for what is available locally to buy. Your ideal mower depends on the size of the yards, if the property has hills, and if the property has gates that might restrict a larger mower. If it takes you 10 min to mow the entire lawn with a 21″ mower and 9 min to mow the same property with large walk behind, it doesn’t make sense to spend the money. But if the larger mower saves you a considerable amount of time, especially with a one man operation, then I’m all for it. I personally think a yard looks better when mowed with a larger deck as it has a more even look. But that is just me. If your a numbers guy and have the mow time calculators, play with them. It’s actually interesting what situations pay off more than others. A third added “if it takes an hour to mow a property with a 22″ mower, it would be closer to 20 minutes on a 36″ walk behind w/sulky. 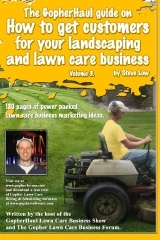 The smaller the yard, the less of a productivity gain there is with a larger mower. A walk behind is not great in corners and doesn’t back up well so it will depend on the type of stuff that you do. I will not even bid on anything anymore that has to be done with a push mower, you just can’t push that thing fast enough to make much money. Having properties close together and utilizing increased productivity with a larger machines is where you will make your money, especially if you are a solo operator. 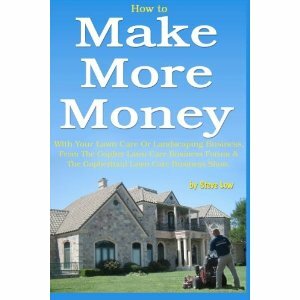 I am not saying that you can’t make money with a 22″ mower, it’s just that there is an easier way to do it. 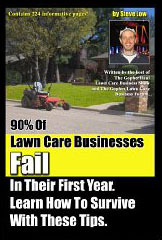 If your yards are big enough, consider getting a zero-turn mower. They are the easiest to load in/out of a trailer and you have a lower center of gravity which results in more safety and control. As you grow, you will be glad to have the ability to sit down. 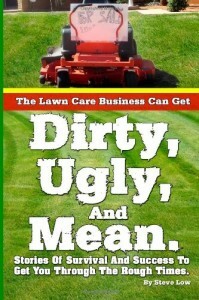 It’s not fun mowing, trimming, and blowing all of your properties alone. Give yourself a break in the future, get a zero turn mower. 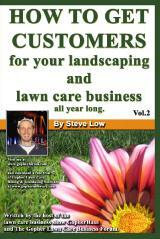 I have a few mowers and I am a one man band. I have a 21″ push mower that one house needs as the side yard is not wide enough to fit anything else. I started with the 32″ walk behind. Then I stepped up to a 52″ and realized how much time I saved using that. After a short time I began to realize the larger walk behind had issues with backing up and was horrible to do it with a sulky. I then bought the 36″ walk behind to see how much of a difference it made. The width fit into all of my back yards, except the one. It takes a little over an hour for me to mow a block with 5 houses on it. I have a great system for myself set up. I used to use the 52″ and the 36″. The 36″ was actually faster than the 52″ on smaller properties. I don’t even take it out now unless it’s for an open yard with no fences. 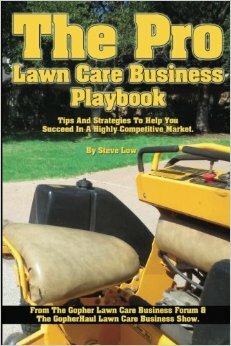 This entry was posted on Wednesday, January 7th, 2015 at 7:49 pm	and is filed under Mower, Uncategorized, lawn care equipment. You can follow any responses to this entry through the RSS 2.0 feed. You can leave a response, or trackback from your own site.